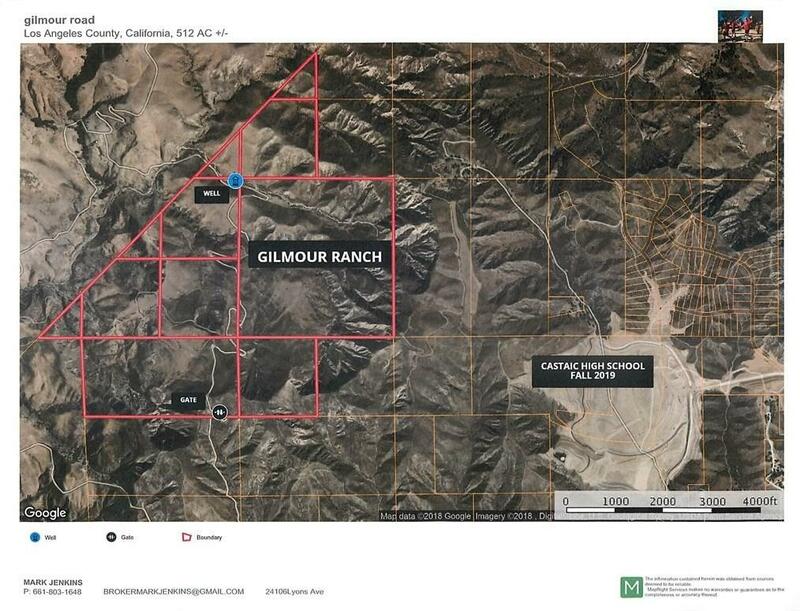 512 ACRES OF VACANT LAND KNOW AS THE GILMOUR RANCH. LOCATED NORTH OF LOS ANGELES IN THE AREA OF CASTAIC. THE NEW CASTAIC HIGH SCHOOL IS ONE PARCEL EAST OF GILMOUR AND IS IN THE FINAL STAGES OF CONSTRUCTION. CASTAIC HS IS ANTICPATING BEING OPEN THE FALL 2019. THERE ARE A TOTAL OF 11 PARCELS WITH ROLLING GEOGRAPHIC TERRAIN.